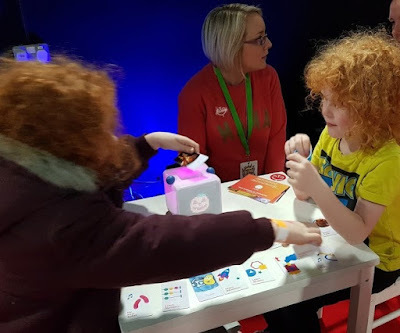 Yesterday was the first day of the two-day Digital Kids Show at Event City in Manchester, and we were hot-footed it over there as soon as we'd watched the Magical Christmas Parade next door at intu Trafford Centre. 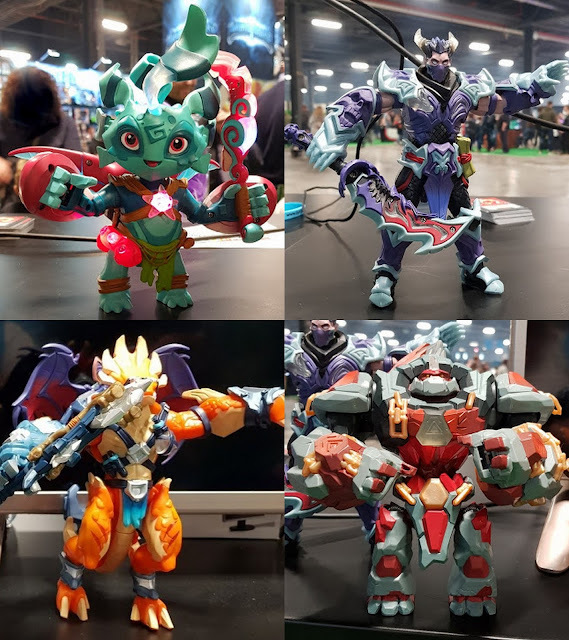 First thing we spotted when we walked in was the Lightseekers stand. I'd heard from them and promised we'd take a look, so we stopped off. I was genuinely really impressed. Playfusion have built some great quirks into this multi-platform game title. 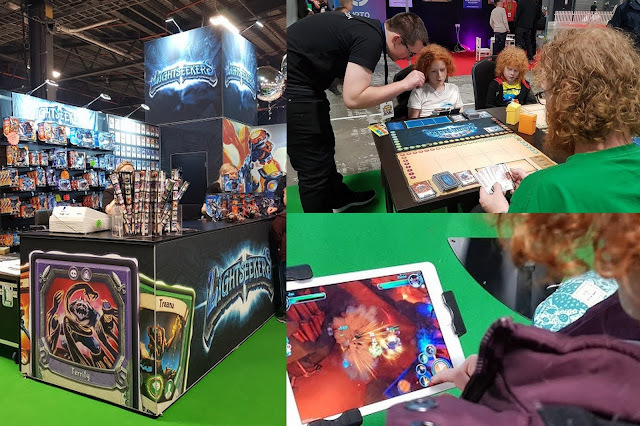 My 9 year old and partner sat down to learn the card game version, while I checked out the light and sound poseable action figures. There are also an app and a console game which play very well. The figures can control the console game, they and their weapons can gain in ability (stored on the weapon itself, so transferable to other characters). The cards can be scanned into your device for the app. It's genuinely cross-platform, really nicely executed and very interesting. What's even better is that the characters are USB rechargeable - saving the sanity of parents everywhere. One to investigate this Christmas for us. A huge part of Digital Kids Show are the main stage acts and this year they included Diversity, Big B Statz, Oli White and Ethan Gamer, plus a ton of other family-friendly You Tube stars. There's a massive seating area - Max And Harvey did a good job of filling it though! On to more of the brands. Hexbug have really thought outside the box this last year or two and there are some very clever accessories. 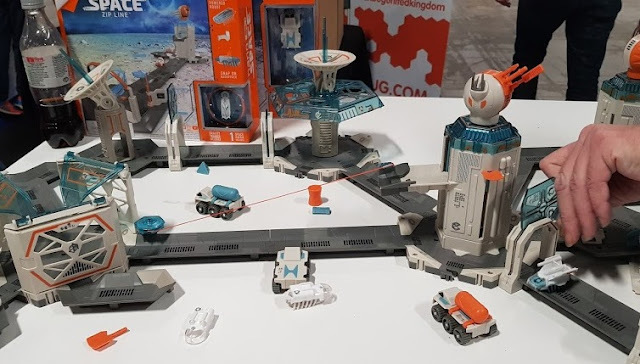 I love the space sets - we played with these for ages! Meccano is a favourite here and we've reviewed quite few sets over the years. 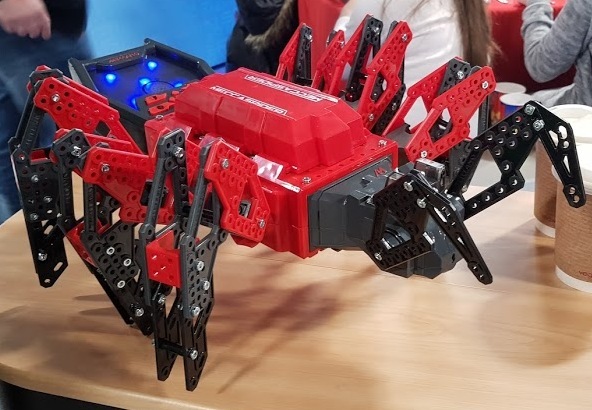 This was my first time playing with the Meccaspider and he's an impressive beast indeed. The Anki stand was of course one we wanted to look at. 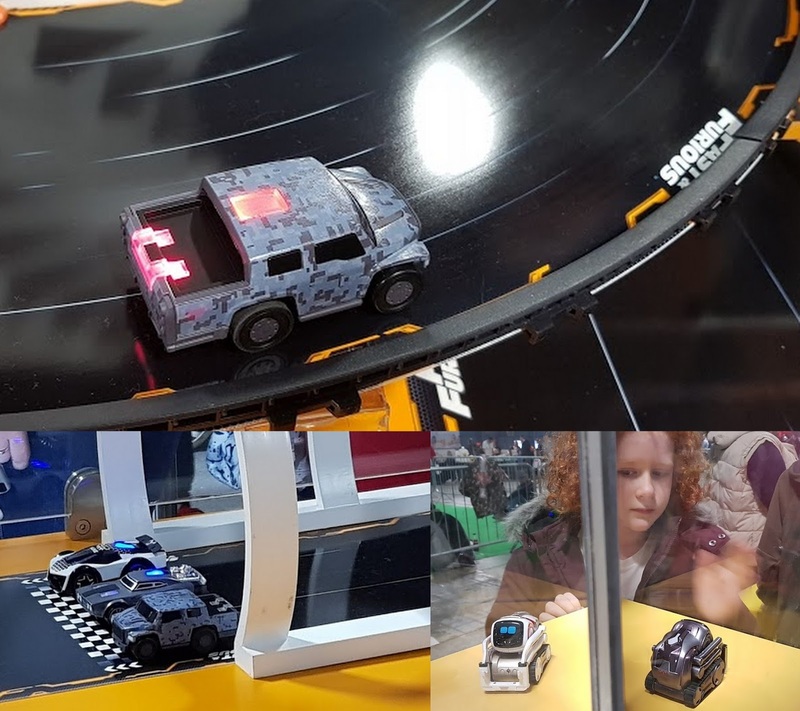 They were demonstrating the new Fast And Furious set (I'm in love with that Dodge and bizarrely the track edge barriers) and Cozmo, the cutest little intelligent robot around. There aren't just big well-known names at Digital Kids Show. They showcase some of the more exciting independent and new tech orientated toys and games too. Beasts Of Balance is one of the most beautiful games ever created, with an environmental twist and a lot of learning and understanding about nature. Sam Labs kits allow your child to create your own games and vehicles or whatever you want, encompassing coding and engineering while they play. Among the less-known console and PC games available to play was Gang Beasts - recommended to us and both boys played it for a while and enjoyed it a lot. 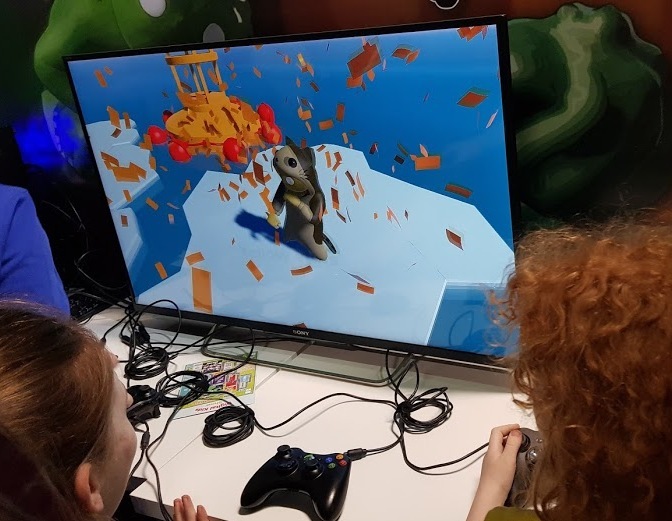 A good local multiplayer game with a simple control system that suits children well. You can find some real gems you'd miss otherwise. Digital Kids is mainly aimed at families with children 2-17, and for those younger than my boys there was still plenty to do. There were also plenty of activities for taking time off from a screen. 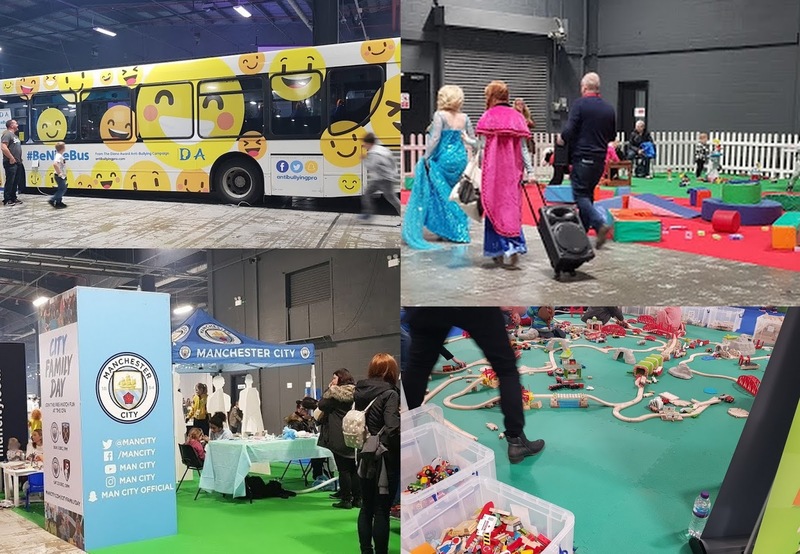 The #BeNiceBus is an excellent anti-bullying project and Man City had an entire row filled with face-painting, table football, goal-scoring and all sorts. 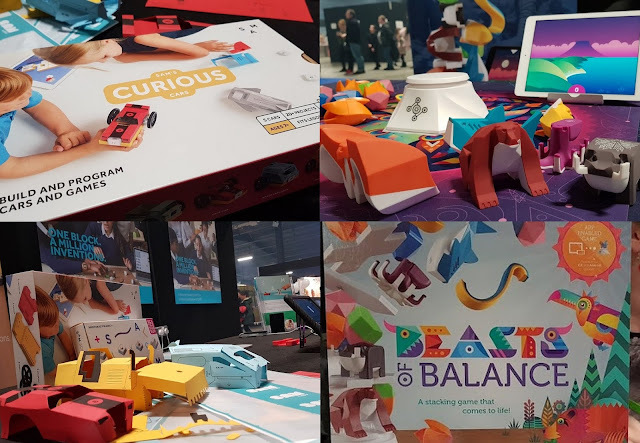 Among the games designed specially for younger children was one that caught our eye mainly because it mentioned Roald Dahl in big letters. The Yoto clever speaker has cards for your child to insert themselves, initiating different sounds, activities, songs and stories. The content is already quite varied and spreads from more simple cards such as 'Fire' for really young children through to maths puzzles and Roald Dahl's story book James And The Giant Peach. There was even an ice rink with penguins for new skaters to hold on to, a massive inflatable assault course and a chance to practice Parkour, although neither of my boys fancied being active. My youngest spent an hour playing Minecraft in the huge 'Play It' area - this is always one of his favourite things despite the fact he can play at home. 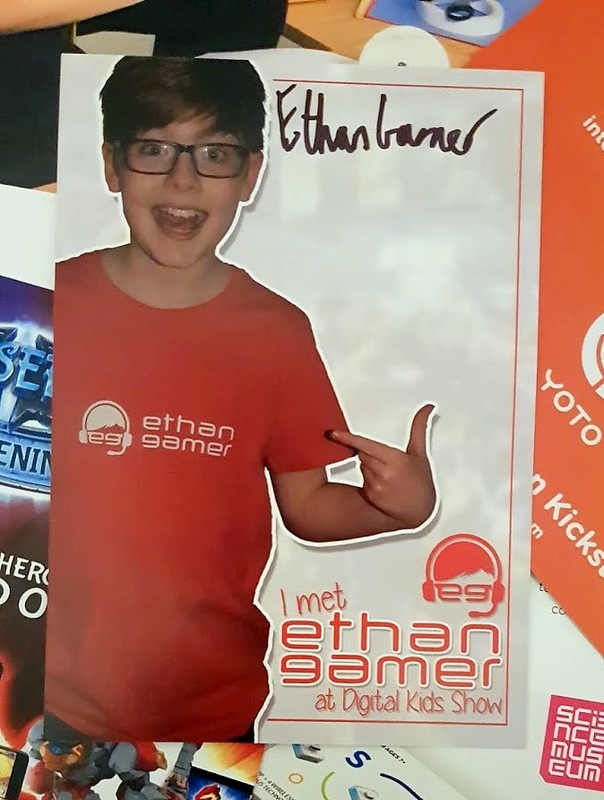 Throughout the day at various points you can meet a lot of the You Tubers and some other characters. My boys loved meeting the giant Stikbot and my youngest queued up for around 20 minutes to meet with Ethan Gamer again, inadvertently giving us the biggest laugh of the day. 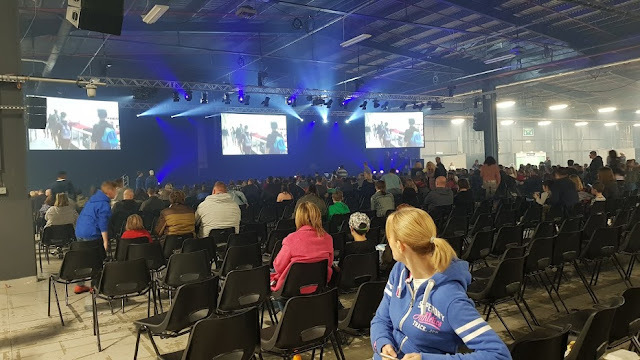 Even though when we arrived the hall seemed quite sparse, for us there was plenty to do and loads of space to do it in without crowds or tripping over people. I've missed out loads because I simply can't write about everything. AirHogs Drones, Vex Robotics, 3D printing, Immersive Experiences Planetarium, Junior STEM - the list is extensive. 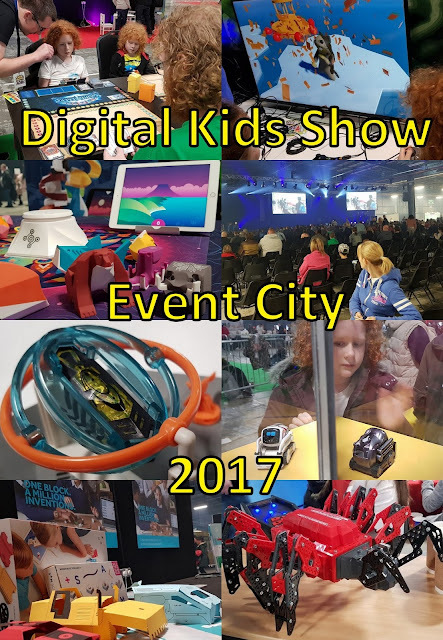 Digital Kids Show is fantastic for any child who is interested in tech, computing, You Tube or gaming. My boys think all of that is amazing and they had an excellent time. We were shattered after a long day and left around 5pm - sadly missing Minecon Earth streaming live from the show itself, a real coup for Digital Kids Show, but too much for 2 boys who'd missed half the school week with a tummy bug and were still really tired... they even had a lie in this morning! 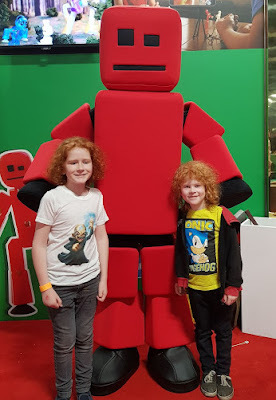 Our trip to Digital Kids Show was free of charge for review.